Posture? Whats it all about? Posture? What’s it all about? The majority of patients that we see at back to health are suffering from some sort of back pain (or neck, your neck is part of your spine). Often, we find this is related to sedentary based jobs and prolonged sitting. Most of these patients are indeed aware of their posture while working; most make the effort to sit up straight, set their desks up ergonomically and have decent, supportive chairs to help ensure good posture – all of which is great. Yet, people still to come to us with back pain. So why is this? Let’s take a look at posture itself. 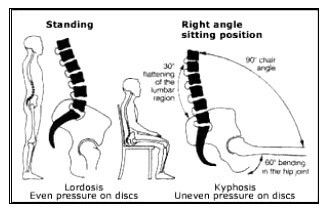 Posture may be defined as “the position in which a person holds themselves when sitting or standing”. 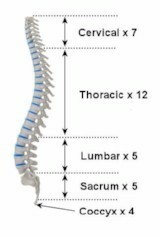 Many of you know or will do shortly that we have natural curves to our spines. These curves develop naturally during infancy as we gradually learn to sit, crawl, stand and then walk. These curves improve your spines ability to deal with forces when we walk, run and jump for example. The idea of sitting up straight is to help maintain these natural curves to ensure that your back adequately deals with the stresses placed upon it. Sitting slouched, or sitting in general, affects these natural curves increasing the stress placed upon the muscles, ligaments and joints in your back. This will likely not cause you any real damage in the short term and probably won’t hurt for a little while, but if prolonged it may well lead to pain and discomfort. There probably aren't many things that are better for you! You’ll probably have noticed in many cases that when you get back pain sitting at a desk it generally gets better once you get moving! The answer? The only truly good posture is a moving posture and really this relates to staying in any single position for too long (yes that includes standing). 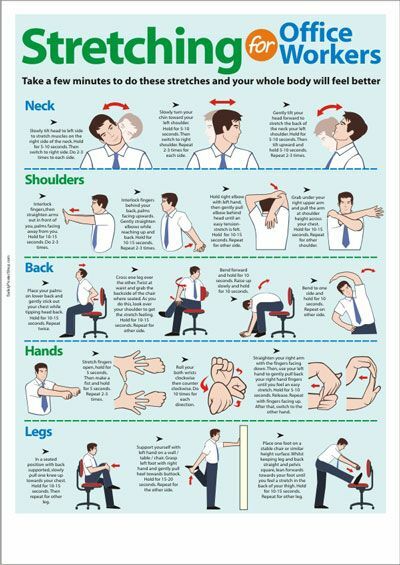 So if you are stuck at a desk for much of the day, try getting up and moving little and often. Combine this with some simple exercises and/or stretches that can be done in the office or at your desk and you’re onto a winner! Sit up straight (a small wedge on your chair may help with this). Ensure your desk is ergonomically set-up (click here for more info). If possible, switch from sitting to standing and vice versa regularly (you can get adjustable desks to help with this). Sit in a supportive and adjustable chair (everyone is different). Most importantly, GET UP AND MOVE little and often; go to the loo, make a cup of tea/coffee or do some stretches/exercises for example. Set reminders if you’re like me and get easily engrossed and forget. 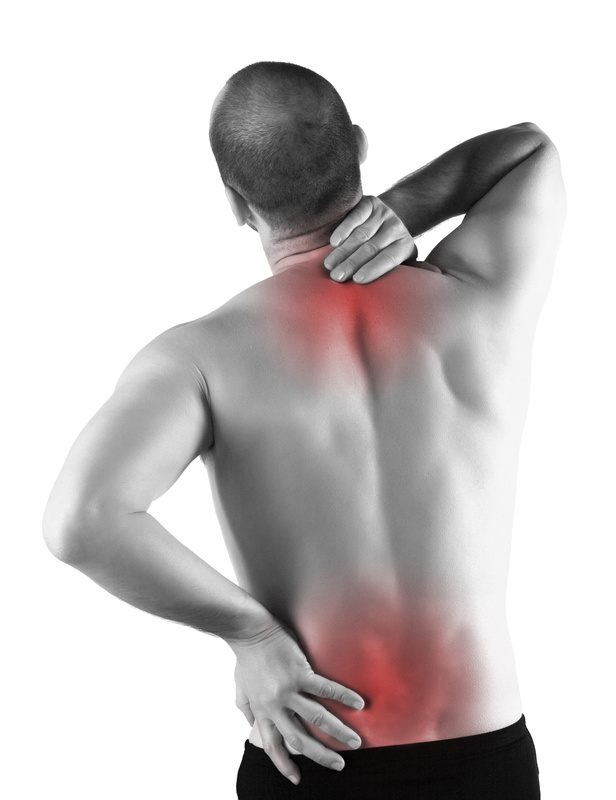 If you’re still suffering, visit your osteopath or other suitably qualified healthcare practitioner for further advice. They will be able to help you. This infographic illustrates some of the above as well as some other risks associated with prolonged sitting. Enjoy! Drake, R.L. et al. (2010). Gray's Anatomy for Students. Philadelphia: Elsevier.